Battle of the Valleys was a big point of discussion at the Grand Valley State University student senate general assembly on Thursday, Feb. 22, along with sustainability efforts. After a lengthy discussion, the student senate decided to table the vote on continuing Battle of the Valleys until next week’s general assembly. Many senators expressed concern about voting on the subject before possible alternatives for or changes to Battle of the Valleys had been discussed. Other senators were worried that such a decision should not be made without adequate feedback from the GVSU student body. As a result of these concerns, interested senators will be meeting this week to develop ideas for possible changes or alternatives to Battle of the Valleys, while other senators will be seeking student input in regard to the event. 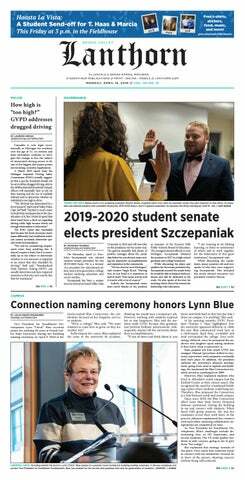 While the future of Battle of the Valleys is unclear, there is little doubt that student senate will continue hosting a philanthropy event in the fall semester. It just may not be Battle of the Valleys. One of the main issues surrounding Battle of the Valleys is that the philanthropic purpose of the event can be lost in translation to the student body, with many viewing the event as GVSU’s version of homecoming or a way to build excitement for the GVSU and Saginaw Valley State University football game. Another issue is that the majority of Battle of the Valleys must be planned over the summer because it happens so early in the fall semester, and finding students who have enough time to commit to summer planning can be challenging. In addition to this extensive discussion on Battle of the Valleys, the senate diversity affairs committee brought up sustainability on campus, which has been a big focus at GVSU. “Honestly, I think sustainability is needed on campus due to the fact that our resources are not renewable, as well as our environmental effects don’t just affect the Grand Valley community, but those around us, so making sure that we’re all living sustainably is a super important thing,” said Madison Rhoades, chair of the diversity affairs committee. There are already many sustainability programs at GVSU, and the diversity affairs committee is working on new programs that could begin as early as the fall semester. GVSU’s student senate general assembly meets every Thursday at 4:30 p.m. in the Kirkhof Center Pere Marquette Room.